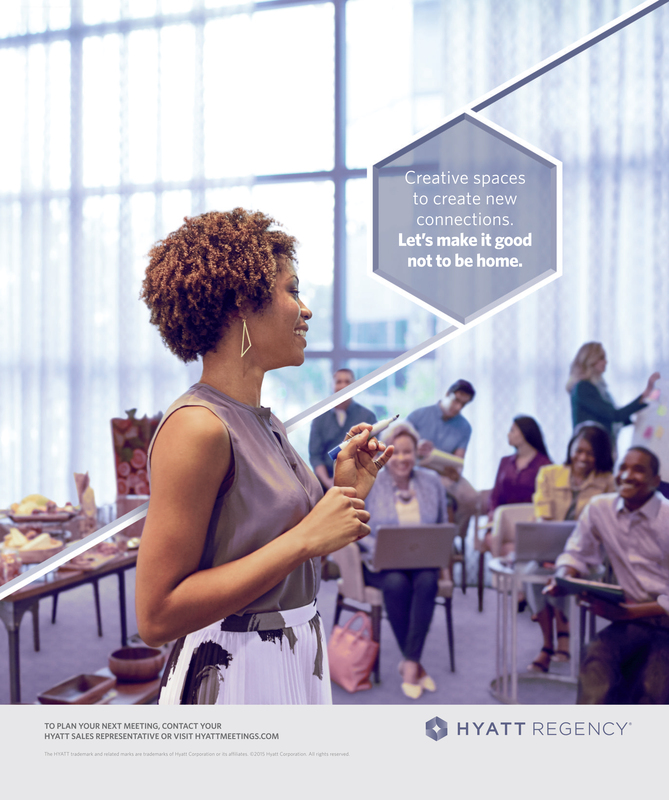 CHICAGO (October 6, 2015) – Hyatt Hotels Corporation (NYSE: H) today announced the launch of a multi-million dollar integrated global marketing campaign for the Hyatt Regency brand. “It’s Good Not to Be Home,” the largest campaign in Hyatt Regency’s nearly 50-year history, celebrates ways Hyatt Regency hotels and resorts, a member of the Hyatt Gold Passport® family of brands, helps its guests make the most of being away. This goes against the assumption that guests are always looking for a home away from home while traveling. 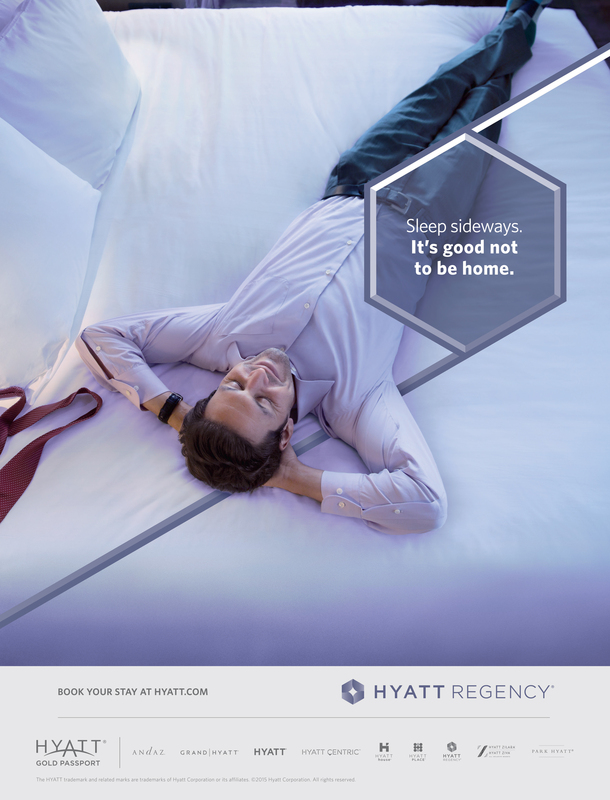 The Hyatt Regency brand worked with advertising agency Pereira & O’Dell on the global marketing campaign, which is aimed at both consumers and meeting planners. The integrated marketing campaign includes TV, social, digital, out of home and print media, a surprise and delight program, in-hotel activations and conference take-overs that will continue to roll out through October and November. The Hyatt Regency brand is part of the Hyatt Gold Passport family of brands, whose overall purpose is caring for our community of travelers so they can be their best, wherever they are. Unexpected ways of caring for guests include connecting them to others, and even just making them laugh. The Hyatt Regency brand is teaming up with Fast Company to create opportunities for entrepreneurial-minded travelers to connect. Fast Company will host experiential sessions at select Hyatt Regency hotels, including a series of workshops and networking events designed to allow guests to make new connections and to remember why, sometimes, it’s good not to be home. The Hyatt Regency brand is also working with Comedy Central to tap into the universal power of humor to bring people together by celebrating funny “not at home” moments. The brand will join forces with Comedy Central and follow a comedian on the road to the New York Comedy Festival, which Hyatt Gold Passport is also sponsoring. Guests will also be treated to surprise and delight comedic moments at select hotels across the U.S. The Hyatt Regency brand continues to evolve the overall guest experience in a continuous effort to help guests be at their best. From free WiFi to new guest room prototypes to redesigned public spaces, guests enjoy a seamless technology experience and space designed to uniquely fit their needs. Whether they are staying for work or play, Hyatt Regency hotels and resorts strive to help guests make the most of being away from home. The Hyatt Regency brand’s “It’s good not to be home” video assets can be found at https://youtu.be/aB-VQMsBaos. The Hyatt Regency brand is part of Hyatt Gold Passport and guests can enjoy all the benefits as a member of the loyalty program. The Hyatt Regency brand prides itself on connecting travelers to who and what matters most to them. More than 150 conveniently located Hyatt Regency urban and resort locations in over 30 countries around the world serve as the go-to gathering space for every occasion – from efficient business meetings to memorable family vacations. The brand offers a one-stop experience that puts everything guests need right at their fingertips. Hyatt Regency hotels and resorts offer a full range of services and amenities, including notable culinary experiences; technology-enabled ways to collaborate; the space to work, engage or relax; and expert planners who can take care of every detail. For more information visit www.hyattregency.com.